XingYiQuan or HsingIChuan is the first of the "three sisters" of Neijia, or Internal Martial Arts (Kung Fu) practice. 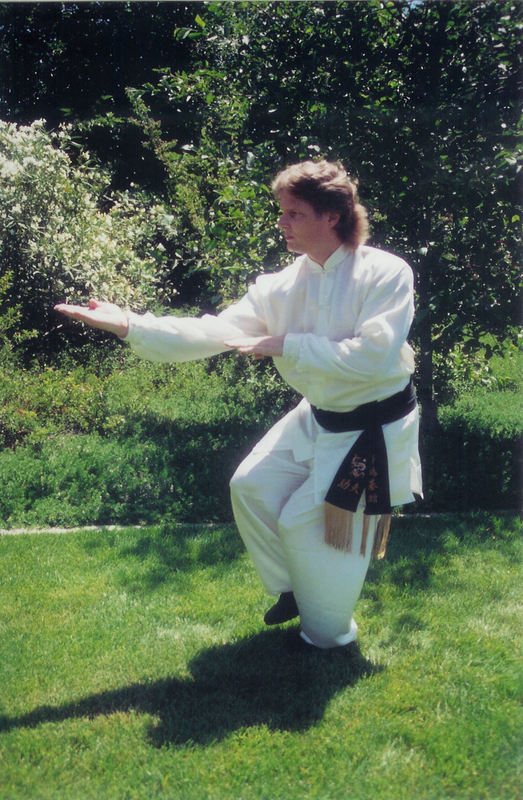 The Neijia School of thought is comprised of Xingyi (hsingi), Bagua (pakua) and TaiJi (taichi) as primary disciplines. There are three primary styles of Xingyiquan being practiced today. The ShanXi Style, the HeBei Style, and the Honan Style would be the most widely recognized branches. Each style of xingyiquan is distinctly different in flavor and appearance from the other methods, or families, as they are sometimes called. The ShanXi style is considered by most to be the original method (credited by many to General Yueh Fuei, circa 1100 A.D.), although this cannot be substantiated historically and is probably more likely a convenience than a fact. ShanXi style is known for its vigorous and powerful movements and abundant releases of fah jing energy. This method is tight in frame keeping a well-guarded movement structure which is quick and extremely powerful. It can be more complex in form and nuance of the three different families. This is especially evident in its twelve animal structures. But it is perhaps the most rare of the Xingyi styles found today. HeBei style, in contrast to the ShanXi style, typically uses much larger frames and can appear slower in practice. Its stances are more open than the ShanXi style, and there will generally be less appearance of fah jing energy in the practice of the forms. The HeBei style is said to delineate from the ShanXi method, but this link remains unclear. Many people practice the HeBei method today. And chances are if you meet a practitioner of Xingyi, they will likely be of the HeBei method over any other. HeBei Xingyi's expressions of the Five Elements are more simplistic than those of the ShanXi and the Twelve Animal stuctures are much more simplified by and large. The last style, known as the Honan style, is a very simplified style of Xingyi practiced exclusively by the Muslim Chinese community for generations. It has only Ten Animal structures which are extremely simplistic one or two movement forms only. The Five Elements are present only as concepts in this method, having no movement representations at all. There are also several mixed lineages in wide propagation today which often show characteristics of several different Xingyi methods in practice. These hybrid systems are often quite unique in terms of how the best attributes from the three main branches of the art are put into practical use. There are several recognized spelling and/or renderings of this arts name. The most common being XingYiQuan from the newer PinYin system of Chinese phonetics, or, HsingIChuan from the more antiquated Wade/Giles phonetics. Other common spellings include the abbreviated XingYi or HsingI and also the hyphenated Hsing-I. On occasion an apostrophe is added, as in Hsing I Ch'uan to further emphasize the pronunciation. Let me share with you a few of our perspectives on the key aspects of the Chinese Internal Art forms of kung fu... Follow the other links within the Xingyi section... Body, Characteristics, Goals, History, Mind, Spirit or Internal Vs. External, to learn more about this internal martial art form. Here is a video sampling of Xingyi (hsingi) movement and application.